How To Instantly Catapult Your FB Ad Profits and Scale Fast! 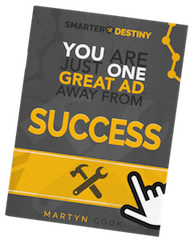 Free Book breaks down the secret steps that will drastically transform your advertising campaigns and catapult your profits! Yes! I want my book! ** We hate spam as much as you do and protect your privacy.